Fascinated with women that have had the guts to stop colouring, I talked to a woman at work one day that had let her hair go completely grey. She is slightly older than I am. She said she did have dark hair like me too when she was younger. She keeps her hair in a pixie cut, so for her, the complete transformation did not take long at all. So, here I am again, staring into the mirror and all I can see is the grey hair roots advancing. What is it with the one day it’s fine and the next day your bangs are too long and the grey roots look like they’ve gained an inch. Off to the stylist I go, thinking this it, let’s go blonde. I could do with a change and I think blonde is the only colour I didn’t try out when I was a teen. This will be awesome! “Really? You want to go all blonde?” my hairdresser asks. “Yes, I’m tired of noticing these grey hair roots just one week after colouring!” I reply confidently. 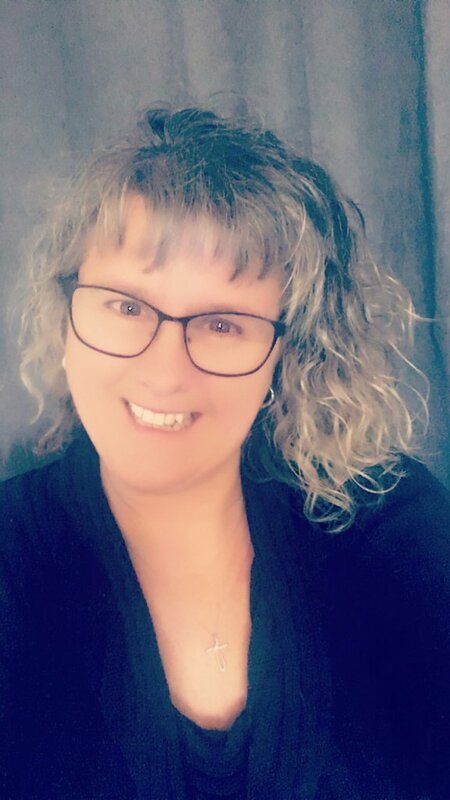 UPDATE 2019: I wavered for an entire year after I originally wrote this post but officially transition to grey hair at the end of 2015. It has been almost 4 years since the change and I admit there have been times that I have wanted to go back to colouring. It is short-lived though as I remember how bad I was at the upkeep and honestly, being totally grey haired is not as bad as having grey roots literally all the time. 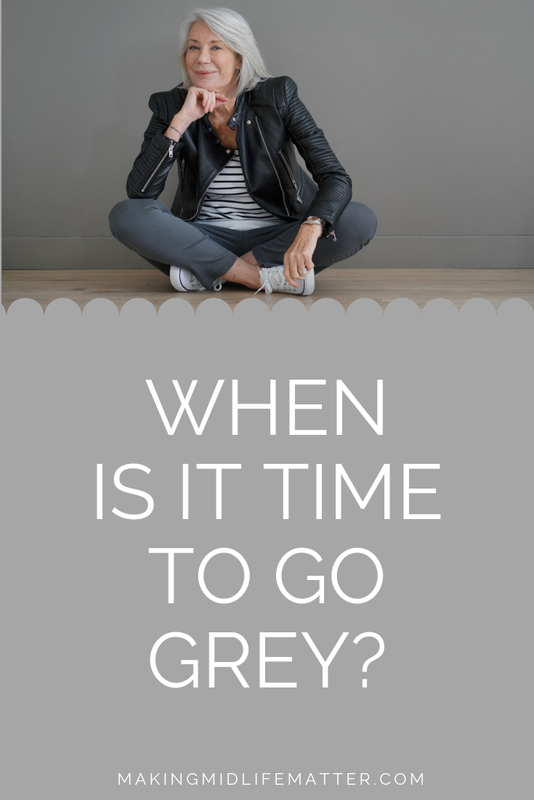 I love my grey hair but I know that deciding to embrace grey hair is a very personal decision. You should do what makes you feel good. If that means colouring until your dying day, then go for it. No one should tell anyone how to live or look. As a woman over 50, you have earned your right to do as you please. 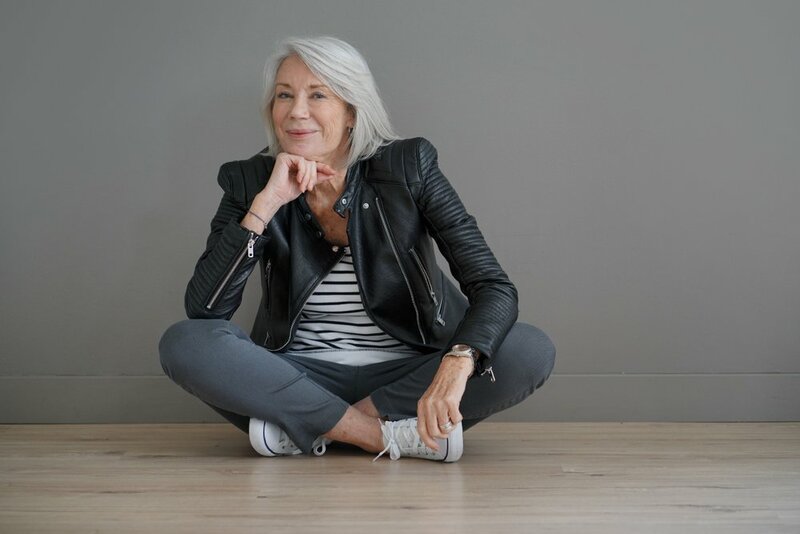 If you are thinking about letting your hair go grey, check out my other articles and products I recommend at the bottom of this post. Over 15,000 women have participated! The following are a list of products that I use on my gray hair. It needs special care to make sure it doesn’t go brassy or really coarse and frizzy. Heavenly Hair Coconut Oil Hair Serum – Chemist formula heals, protects and returns your shine!